When you’re looking for a retirement or assisted living residence, you want to know what sets one community apart from another. There are several areas that clearly define Frontier Management LLC and set us apart from our peers. At Frontier, our Mission Statement and Core Values unite us in striving towards a common fundamental objective. We have positioned our company as a caring and compassionate leader within our field, but more importantly we strive to demonstrate our commitment every day to our residents at each and every one of our communities. That’s the Frontier Difference. If you have a moment to visit one of our beautiful and inviting communities, please do so and experience the Frontier difference for yourself! We understand the importance of one’s identity and the importance of purpose and community. With this in mind, Frontier has employed Lifestyle Coordinators to enhance every day at most of our communities. There are no ‘standard’ activity schedules; rather we build a calendar around resident interests and wants. We understand and appreciate the importance of quality and delicious meals, how we eat with our eyes and the importance of nutrition. Our communities serve meals restaurant style, with a few communities also offering meals as Buffet Style service. Our menus feature quality meats, starches, seasonal fruits and vegetables, breads and, of course, fantastic desserts. Residents will find beverages and some snacks or fruit available 24-hours a day. If you have not had an opportunity to enjoy a meal at a Frontier Management community, call today to schedule a visit and a complimentary meal. Frontier works every day to improve the quality, appearance and functionality of our communities. This is shown through new carpet, interior and exterior painting, beautiful grounds and wonderful furnishings. Additionally, we work to accentuate special features in individual communities. For example, one community features special living areas to include an All Faiths Chapel, Fitness Center and an Italian Bistro. Our programs and services have been tailored to meet the individual needs and wants of our residents and their loved ones. This is most prominently demonstrated in our Memory Care communities and delivered through our Personal Touch Philosophy of care. Such a program can only be appreciated by viewing the interaction between our professional caregivers and those residents affected by dementia (including Alzheimer’s Disease). At these excellent communities you’ll find an amenities package that is not only extensive, but also affordable. Beyond simple services, you will be in a community of people that truly care about each other, that know each other, and support each other. Do you like to eat? At our communities you will! Most of our locations serve three hearty meals each day, with a selection of entrees and sides. Exercise is something your doctor has probably been telling you to do for years. At a Frontier managed community you will have exercise in most communities almost every day. Add to that a regular program of interesting and engaging activities and you will find a truly wonderful place to call home. Living at a Frontier retirement community is just that, “living.” Our communities feature special events, entertainment, guest speakers, inter-generational gatherings and participation in local organizations. Other benefits of your new retirement lifestyle include housekeeping and flat linen service, emergency call systems, scheduled transportation, and all utilities (except long distance phone) are included in your reasonable monthly rent. 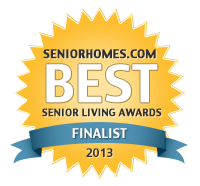 To learn more about our Retirement Living communities near you, visit our community directory. 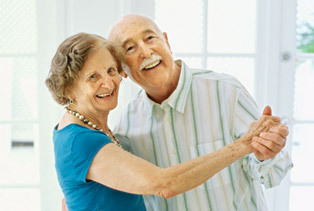 Frontier’s assisted living lifestyle is one that promotes choice, dignity, privacy, independence, and individuality. All these communities feature 24-hour medical personnel and a high staff to resident ratio. Living at a Frontier Assisted Living community, residents will enjoy all of the features, benefits, and amenities of our lovely retirement living. These include three delicious meals each day, planned group activities, scheduled local transportation, weekly housekeeping and linen services, paid utilities (except telephone and extended cable television), a spacious studio, one or two bedroom apartments (where available) and a great team of care givers. In addition, Frontier offers these services, at select communities, for those who need State Funding Assistance (Medicaid). We are proud to open our doors to all residents. We call our philosophy of memory care for dementia and Alzheimer’s residents “Personal Touch.” The Personal Touch philosophy of care promotes the self-worth and familiar life history and functions of each resident, individually. This philosophy is driven by our Mission Statement: To enrich the lives of our residents, staff and associates through our programs, communications, environments and true commitment. Treating people kindly, with respect and honesty is how we treat each other in our daily lives. The same is true at our care communities that serve a population of seniors who suffer from various forms of Alzheimer’s disease and dementia. Residents are people. The “us vs. them” attitude is not tolerated. We have an obligation to care for our residents and provide an environment that is familiar and warm. Activities are a fundamental component of the daily programs at our communities. However, the activities that are features for residents with dementia are significantly more familiar. Our activities are not only “age appropriate” but they are also simple and routine. Furthermore, our communities embrace inter-generational programs, visiting pets, and sensory stimulation, among many others. 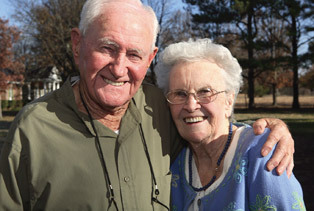 Communications for memory care residents are two-fold at Frontier. First, we communicate through our quarterly Care Conferences to review and update the Service/Care Plan of each resident. This is done with the management, support staff and resident family and/or responsible party. Finally, we communicate with residents through respectful and slow encouragements, without quick questioning or confusing dialogue. Our Memory Care communities feature an Activity Kitchen for the familiarity of a kitchen in the house. Residents may work, complete chores and prepare dishes, with non-obtrusive supervision and support. Each neighborhood has its own dining room where residents may eat “family-style” or each plate will be served individually. Of course, all menus are professionally developed and meals are cooked on-site. Wonderful snacks, juices and teas are available 24-hours a day. Frontier has developed an environment that is comfortable, yet stimulating. Every detail from paint colors, furniture selection, to the carpet and artwork have been taken into consideration. The outdoor common areas are available to residents seeking fresh air, the warmth of sunshine, the sounds of leaves and birds and the opportunity to enjoy gardening. The interiors feature a wonderful fish tank, a television lounge in each neighborhood and barrier free walking. Frontier’s commitment to caring for residents with forms of dementia, including Alzheimer’s Disease, is found at its communities that serve this population. Furthermore, it can be found in the outcome from the care provided by our dedicated staff members. The design of each Memory Care community is carefully planned and crafted to allow residents to freely move about the interior and exterior of the community. A ‘barrier-free’ environment is developed through a continuous walking pattern through our ‘neighborhoods’. Assisted living has become an increasingly popular option for seniors wishing to remain independent, while still having access to the right amount of help to make their lives easier. Frontier has complied both links and articles to provide you more information about what assisted living is, who it’s for, and what types of services are offered. Whether it’s you or a loved one who may need a little assistance, please take the time to review the information below in order to learn if this would be the correct senior living option for your needs. As our parents and loved ones grow older the time will come when we have to consider the options available and what’s in their best interest. While some people will opt for care in a senior living facility, others will take on the responsibility of acting as the primary caregiver for their loved one. Frontier is here to help ease the assessment process and to provide you with the resources needed to make the decision best for your loved one. Read the articles below and browse the links provided to learn more about the responsibilities of a senior caregiver. 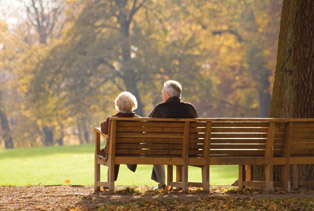 Perhaps the most significant concern as we age is our health and accessibility to health care. As we grow older it’s important to concentrate on quality of life. 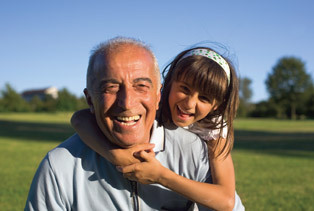 Seniors may find themselves asking, what simple exercises can I do to live a healthier life? What are some healthy meals I can prepare for myself? Additionally, you may have questions about Medicare, health insurance, and disease education. Frontier has complied a wealth of health care resources for your convenience.